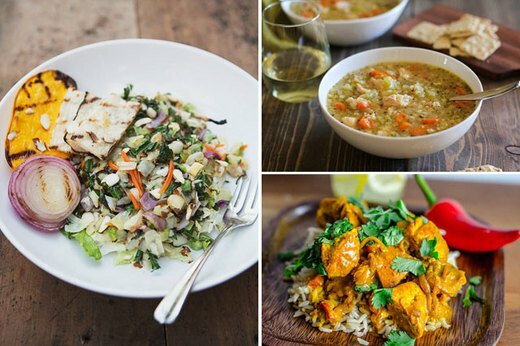 For those who are looking to cut calories or just eat healthier), there are a variety of simple and healthy meals that can help you shed the pounds and feel fuller longer. From low-carb breakfast bites to light dinners, these recipes can help you eat lighter and inspire you to achieve your health goals. Ditch the tortilla and make your next breakfast burrito with a collard greens wrap. 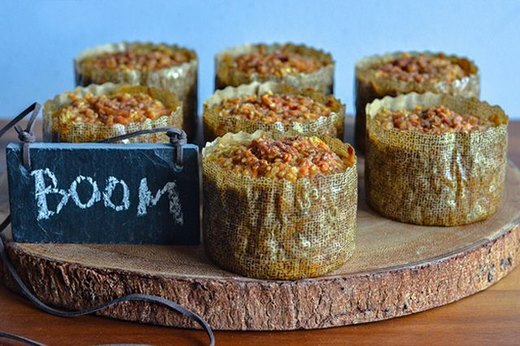 The leaves make a firm wrap that you can fill with your favorite morning burrito ingredients. Fill your burritos with scrambled eggs and black beans for a high-protein, low-carb breakfast. 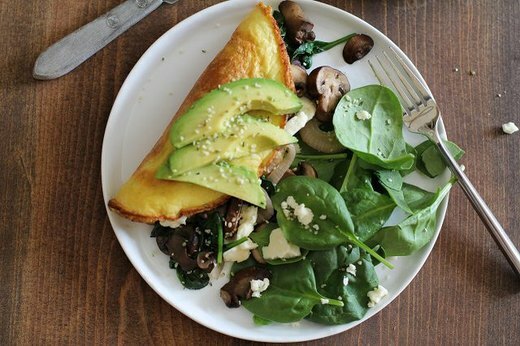 Omelets make a very quick and satisfying meal in the morning. This recipe is packed with omega-3, veggies and other healthy ingredients to help you jumpstart your day. Add hemp seeds, chia seeds or flax seeds to your eggs before cooking for nutritious omega fatty acids. 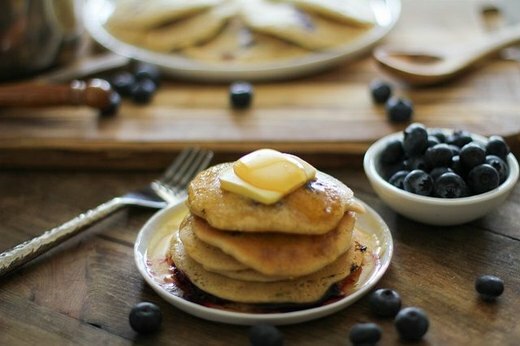 There’s nothing like a warm stack of blueberry flapjacks in the morning. This recipe combines tapioca and almond-based ingredients for a fluffy and healthy pancake that's vegan, gluten-free and dairy-free. 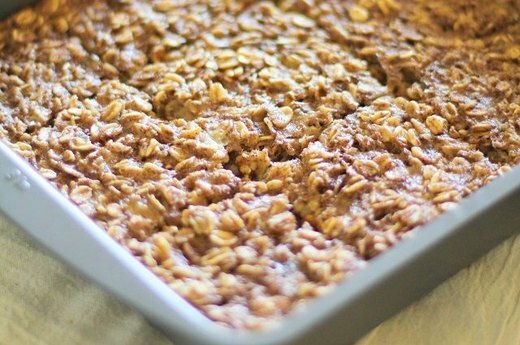 Baked oatmeal bars are the perfect breakfast food to enjoy at home or on-the-go. Add dried fruits, nuts and sweeteners for an even sweeter kick. You can enjoy these baked oatmeal bars on their own or with a dollop of yogurt and fresh fruit. 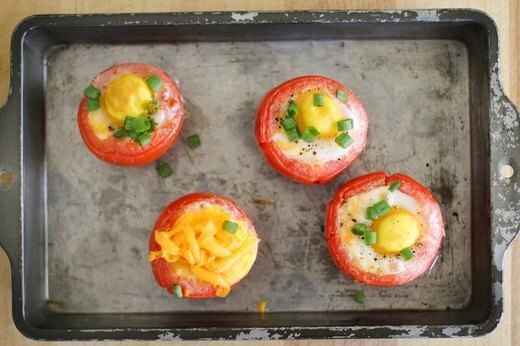 Start your morning with some tasty eggs baked in tomatoes. These bite-sized delights make for a simple and low-carb breakfast. Use vine-ripened tomatoes for the perfect portion sizes. These protein-loaded sweet potato and oatmeal mini-casseroles are a great make-ahead breakfast item. It’s packed with complex carbohydrates and lean protein to keep you energized throughout the day. Make a batch on the weekend to enjoy for breakfast throughout the week. 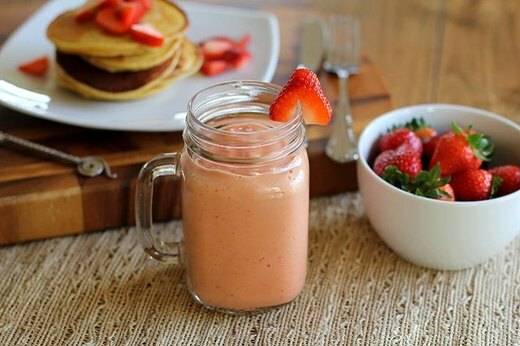 There’s nothing more refreshing than a freshly made smoothie in the morning. 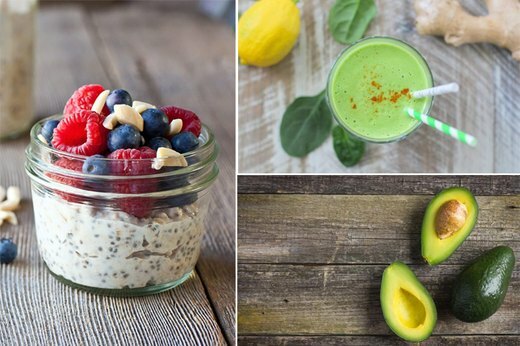 Simply gather your smoothie ingredients and blend for a filling beverage to fuel your day. Use fresh fruits, frozen fruits or unsweetened milk to keep these smoothies low-calorie without compromising flavor. 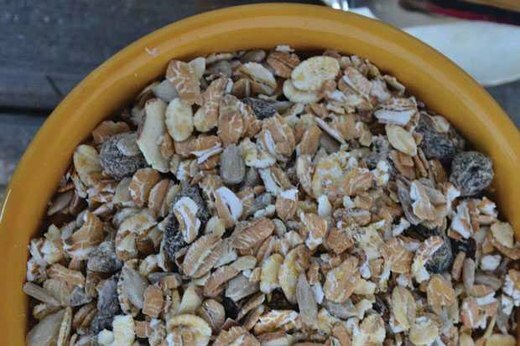 Combine rolled oats and other dry seeds and ingredients to create this gluten-free muesli. You can add milk and bananas for a hearty breakfast or snack on it throughout the day. It's loaded with delicious and healthy omega-3, fiber and protein. Cedar plank grilled salmon is a refreshing lunch item that’s easy to make. Season the fish with fresh dill, lemon juice, kosher salt and black pepper and serve for a light, satisfying meal. Grilled chopped salad with sesame lime vinaigrette takes your lunch to the next level. 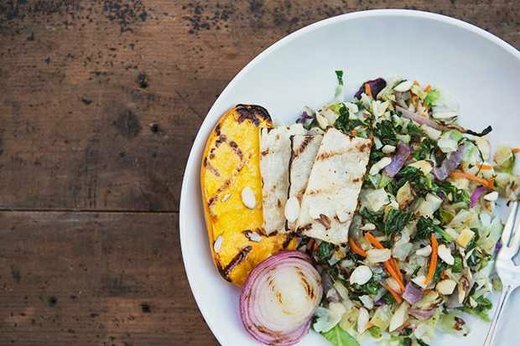 The freshly grilled romaine, cabbage, daikon, red onion and mangoes are what make this salad a standout meal. 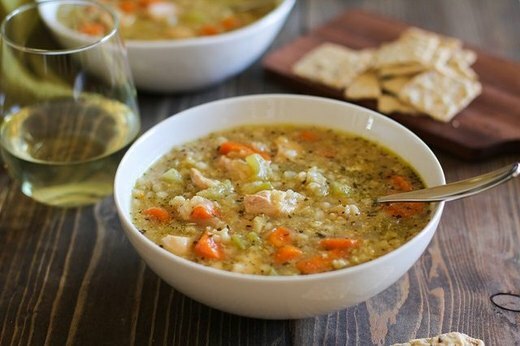 This slow cooker chicken and rice soup is best served warm on a cool, windy day. Just prepare all the ingredients in your slow cooker before leaving for the day, and you'll come home to a soothing stew that you can pack for lunch all week long. 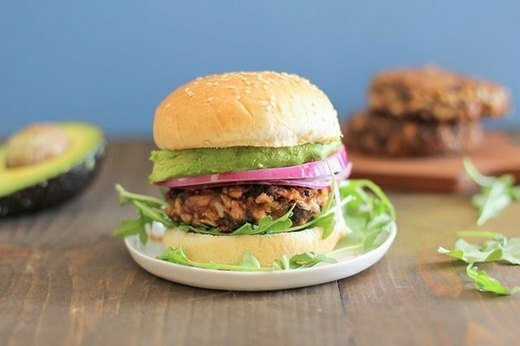 Spicy veggie burgers are a terrific, low-fat alternative to any meat patty. It’s packed with protein and doesn’t skimp on the flavor expected of any delicious burger. 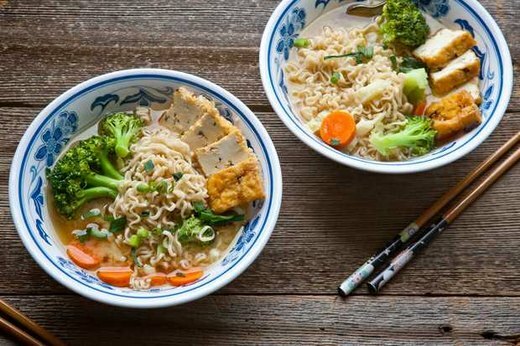 If you’re looking for a filling bowl of soup for lunch, then this miso noodle soup with vegetables and tofu is right for you. It’s a quick and easy recipe that uses many common ingredients you need to get a good stew going, including broccoli, carrots and cabbage. 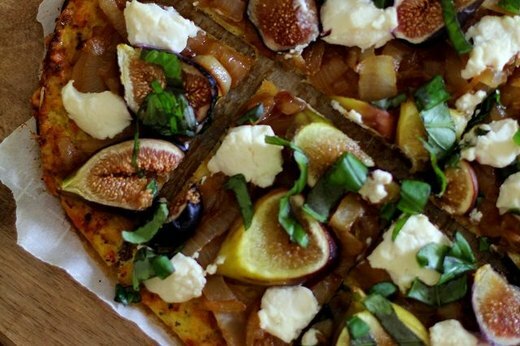 The next time you bake a homemade pizza, cut calories by making the crust out of cauliflower. The gritty mixture of cauliflower florets, eggs, onions and seasonings makes the perfect foundation for any pizza. Top with your favorite toppings for a healthy and delicious pizza. 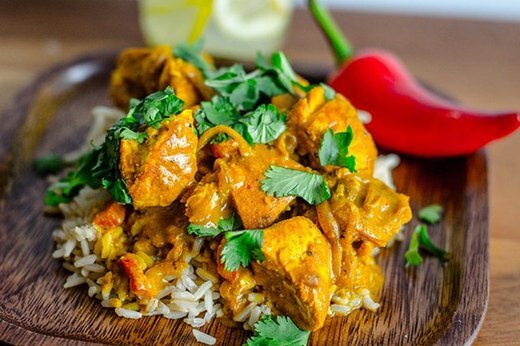 Spice up your dinner with this coconut chicken curry. 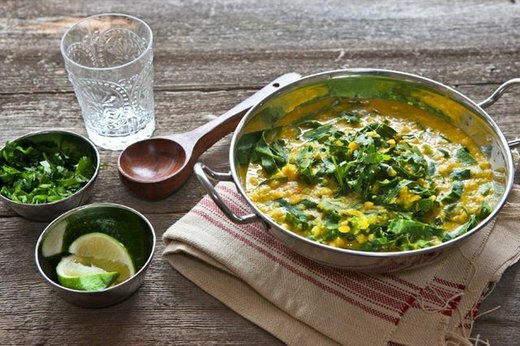 This recipe combines several fragrant herbs and spices to deliver a hearty and flavorful curry dish. Stick with a light, unsweetened coconut milk to cut the number of calories in the dish. 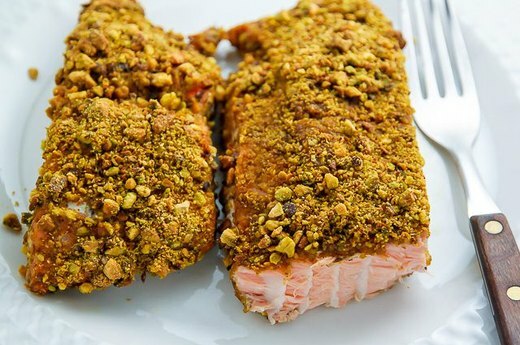 For a light weekday dinner option, bake a batch of these nutty pistachio crusted salmon filets. The golden brown crust complements the flavors of the moist salmon, and gives a mouthful of flavor in every bite. Serve with a side dish such as mashed potatoes, rice or vegetables for a complete meal. If you’re looking for a savory side dish, this roasted broccoli with garlic and lemon will do the trick. These steamy vegetables can be ready to serve in under 20 minutes. This roasted broccoli is so good, the kids won’t be able to say “no” to their veggies. This Southeast Asian-inspired dish combines lentils, vegetables and a number of spices to create a hearty, vegetarian meal. It's a low-calorie meal that's packed with plenty of protein, vitamins and minerals. You can serve this dish over rice or enjoy it as a stew. 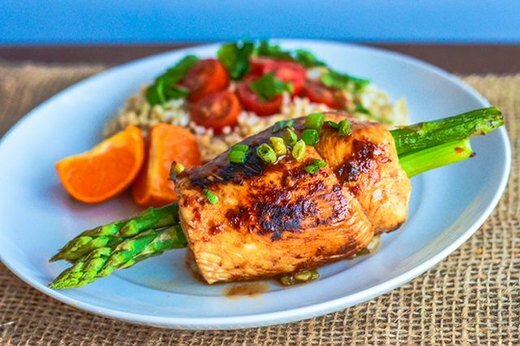 Asparagus spears wrapped in Teriyaki chicken is the perfect balance of meat and veggies. This recipe uses coconut aminos, a substitute for regular soy sauce with less sodium and more amino acids. 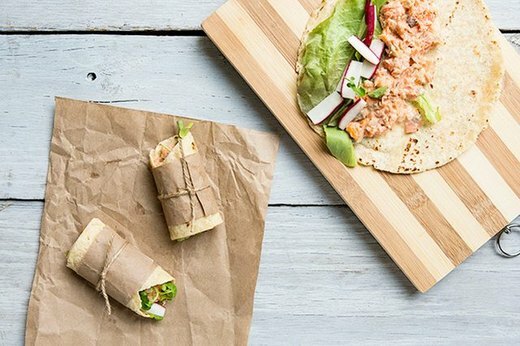 They're incredibly easy to make, so you'll be able to meal prep for an entire week. 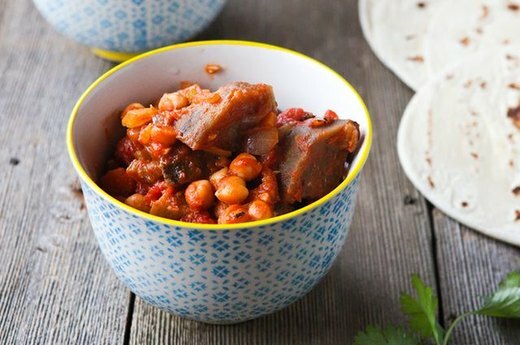 For a wholesome and comforting meal, try this smoky eggplant and chickpea stew. You can enjoy the warmth of this rustic meal, and add in some hot pepper if you need an extra kick. These pecan-crusted chicken fingers are a refreshing and healthy take on traditional chicken fingers. The crust is made with pecans and seasonings that make these hard to stop eating after the first serving. 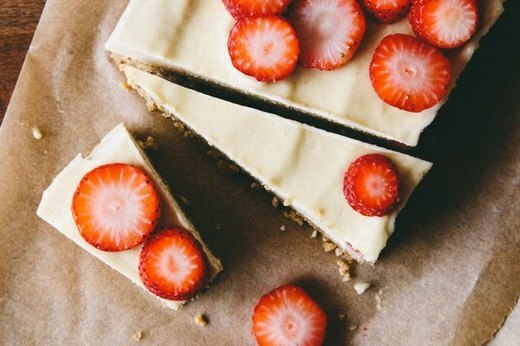 This vegan, dairy-free cheesecake with strawberries is a fantastic way to end any meal without packing on any unwanted pounds. The filling is made with raw cashews finely blended with almond milk to give it a creamy texture. 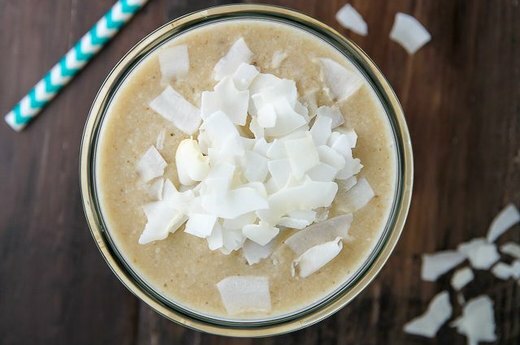 Instead of a heavy dessert, opt for an all-natural coconut cream pie smoothie. This recipe uses bananas, graham crackers and coconut flakes that will satisfy any desserts fan. For more information on how to be healthy, read Fruits & Vegetables That Boost the Immune System or 10 Best Foods to Eat to Lose Weight.